October 21 Show Features Special Guest Billy Poore! The legendary singer, author and Rockabilly Hall of Famer Billy Poore will be returning to the Arbutus Record Show this October! He will be bringing copies of his book and tons of records and CDs from his extensive collection, including his own June 2011 CD release, The Last of the Renegades. Leslie “Bird” Anderson will accompany him, bringing CDs from the 1980s and 90s. Billy Poore has been singing professionally and producing records since the early 1960s. 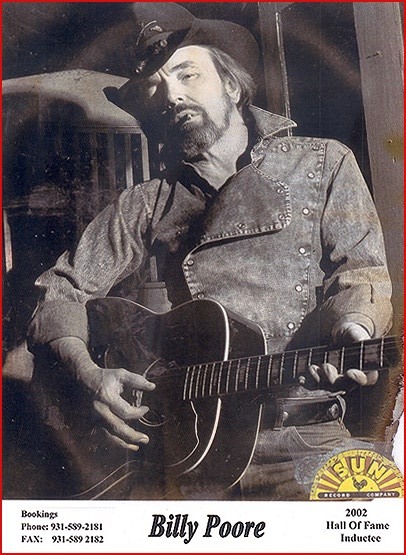 He recorded with such artists as Danny Gatton, Robert Gordon, Billy Lee Riley, Narvel Felts, and Charlie Feathers. Billy’s book, Rockabilly: A 40 Year Journey, documents his travels across the U.S. and through the decades, including his encounters with Elvis Presley, Sam Philips, Colonel Tom Parker, and all of the movers and shakers in Memphis and Nashville. Billy has amassed a legendary collection of music and memorabilia. In 2002 Billy was inducted into the Rockabilly Hall of Fame. For more information on Billy Poore, click here. This entry was posted in music, rockabilly by arbutusrecordshow. Bookmark the permalink. it extensively within the Usa and U.K. before this 30 days.